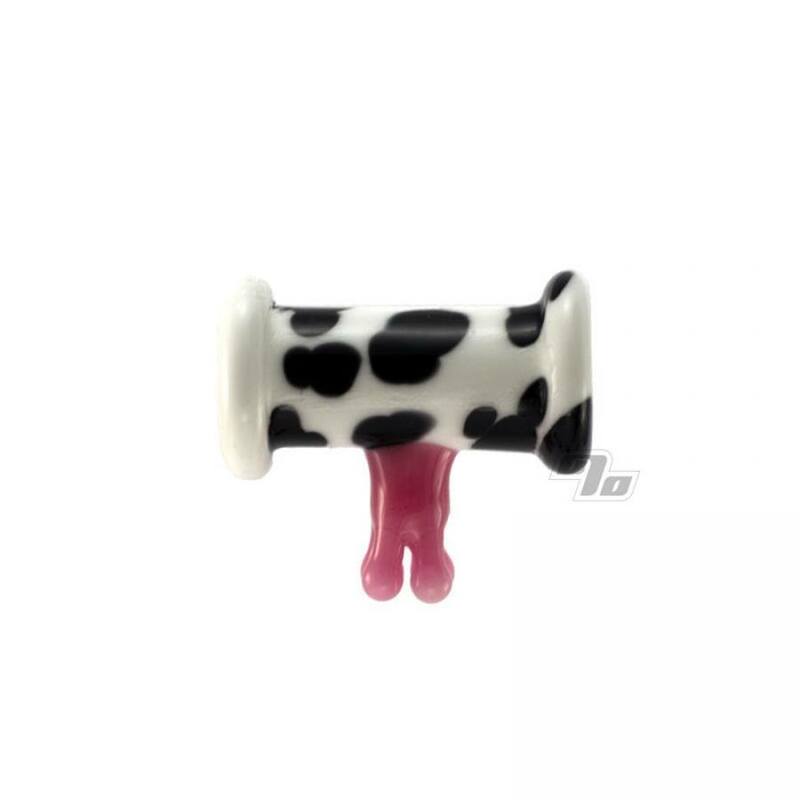 Cow Udder Pendant from the one and only Monkey Throw Poop. Glass art. Measures approx at 2.5" wide x 0.75” in diameter. Udder hangs down from there just a tad.